Its time to try a quieter fan on the A4 Dominator and after much searching I found one that may work. The standard Fans pass about 230CFM and that’s a lot of air so I needed to find something in the region. The best I could find was the Silverstone FHP141-VF High Pressure 140mm Fan. 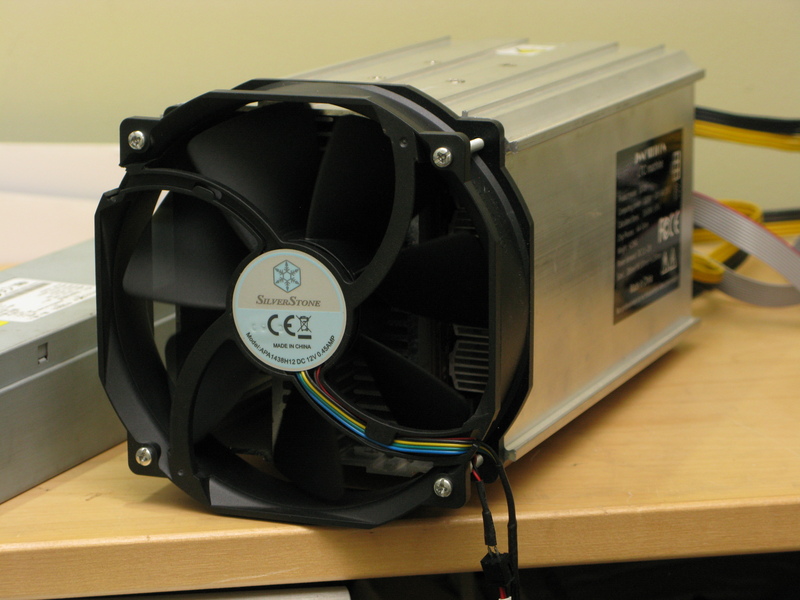 The A4 actually has a 120mm fitting but this fan can be used with both 120 and 140mm brackets. Based on the other fan tests I decided to use the fan in blow mode as this proved to give the best results. The Fan performed well and I could actually have a conversation in the room with out raising my voice. 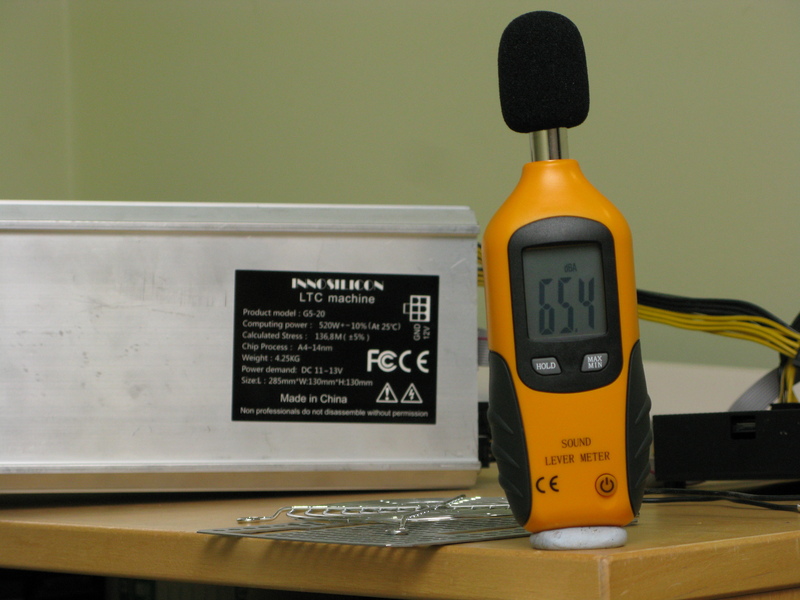 We see a dB level reduce to 65.4db, I could actually hear the PSU fan over the miner, we have a major improvement. 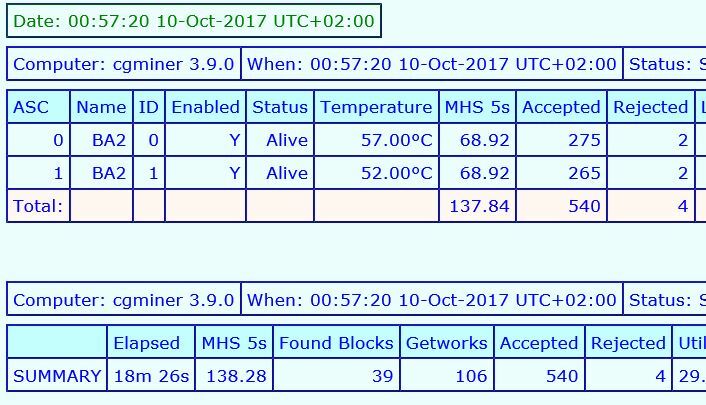 I feel you would need to place this setup in a cool area with the ambient temp not exceeding 30c or you could find the miner hitting 60c very quickly. If you have a cool area then this is a great mod to do.